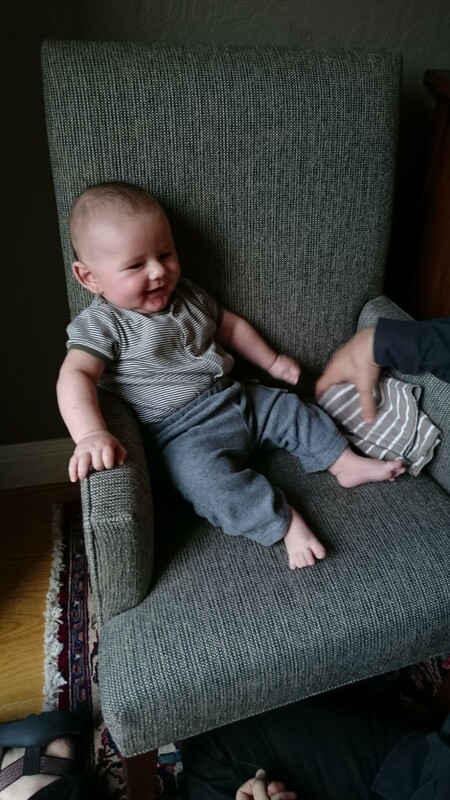 Before my son arrived on June 30th, I was a little concerned that my maternal instincts would compete with my professional instincts, a constant battle between “work” and “life”, if you will. Fortunately, this isn’t at all what’s happened. I feel like I now bring to my work a sense of underlying calm and a much-strengthened ability to prioritize. When the baby cries, it’s usually for me to make some minor adjustment to his sitting position or his pacifier; I’ve had to become level-headed even when there’s shrieking. At work, I’m much more able to see when something’s really urgent, and even if it is I’m calmer about addressing problems swiftly than I used to be. In addition to my new-found chillness, I also feel an ability to switch modes more seamlessly. If my husband sends me a cute baby photo while I’m at work, I become Mom all of a sudden. Then I glance back at my screen and I’m suddenly Professional Beth again, with no nagging distraction at all. If I’m at home with the baby and someone pings me from work, no problem — I put on my work hat for a second, and then take it back off when I’m done. So far, I’m digging this whole mom with a career thing, and am grateful for all the great support I receive from my team at work and my husband at home.